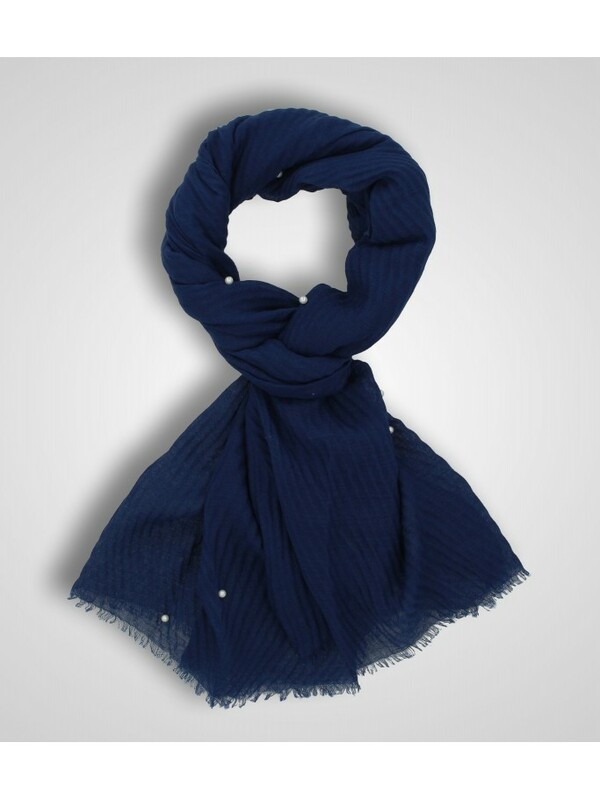 Black plated scarf with white pearls decoration. 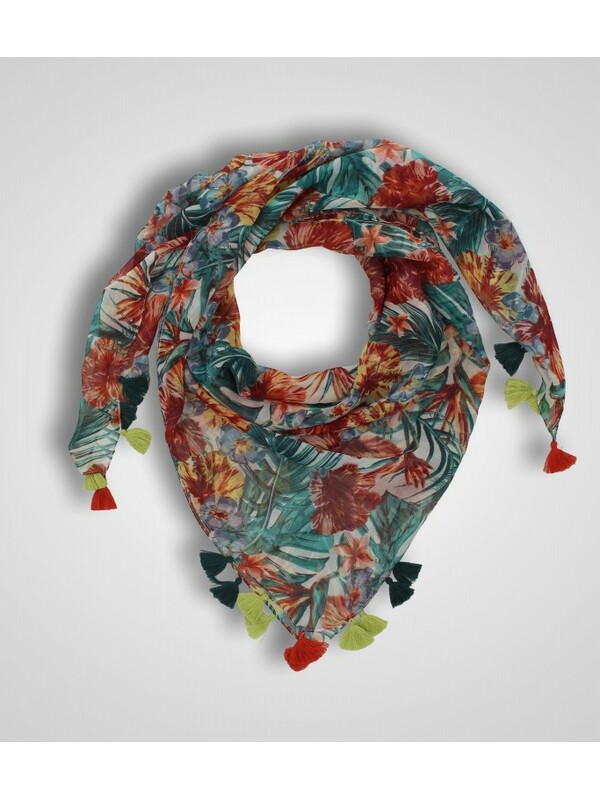 Voile scarf with exotic floral print. 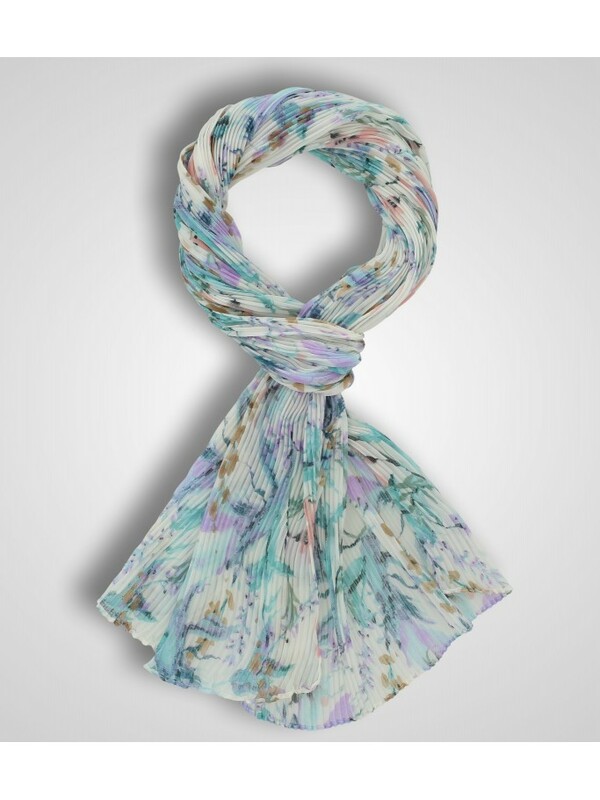 Voile scarf with watercolor effect floral print. Chiffon kefiah with black/white butterflies print. Tassels on the corners. 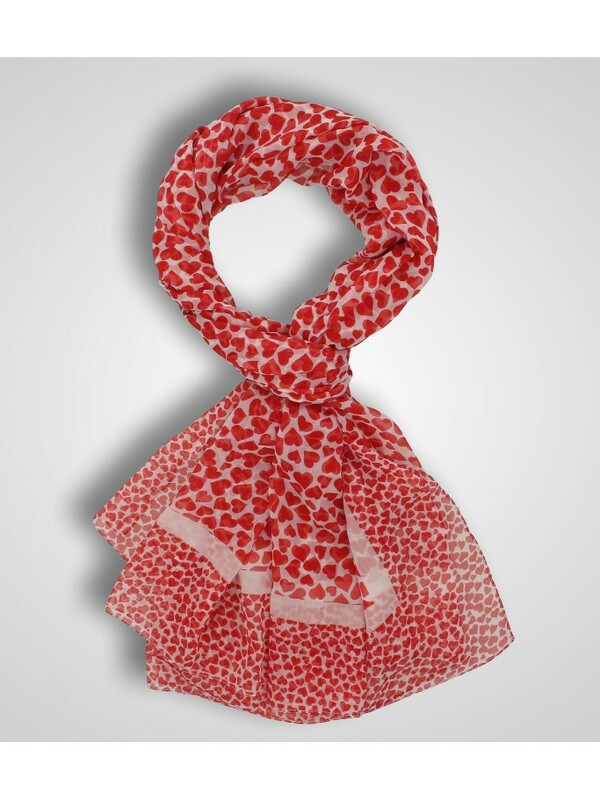 Chiffon scarf with red hearts print and white frame. Chiffon scarf with satin bands and flowers print design. Chiffon scarf with multicolor flowers print design. 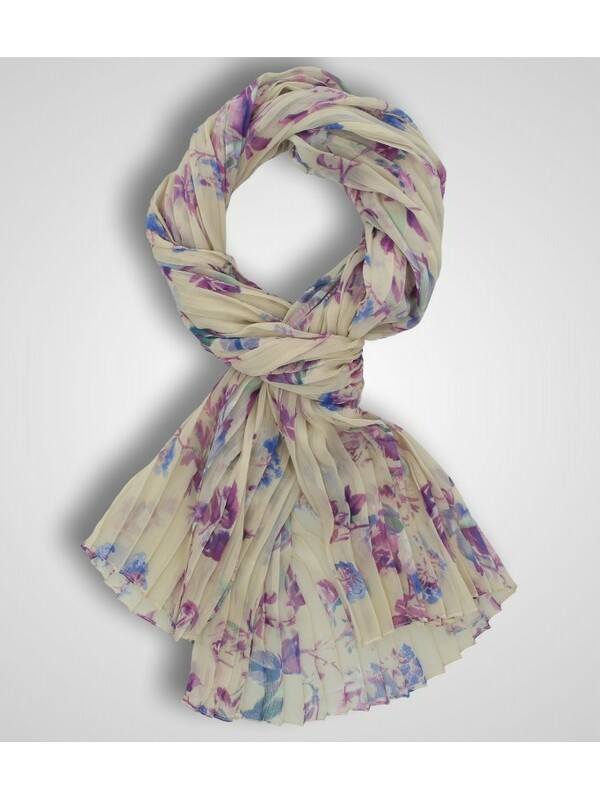 Pleated chiffon scarf with multicolor flower print design. 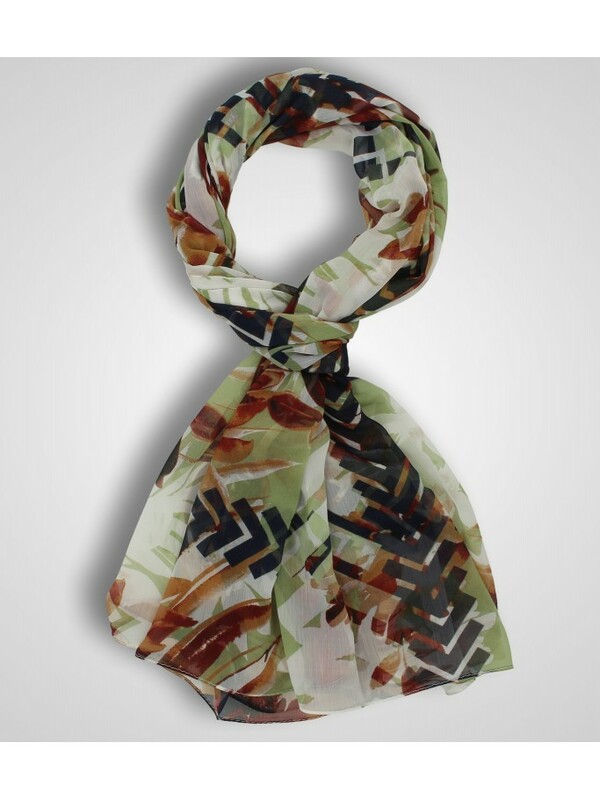 Chiffon scarf with satin bands and multicolor print. 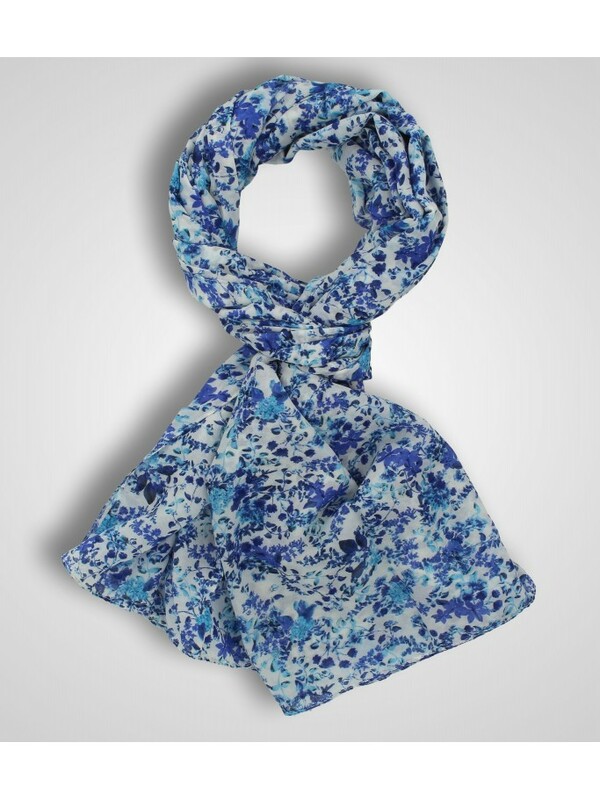 Pleated chiffon scarf with blue shaded leaves print design. 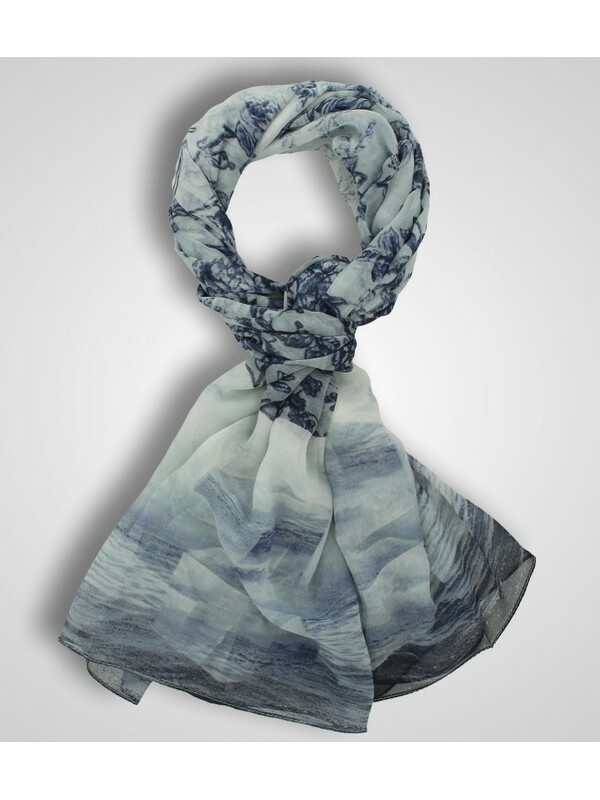 Light weighted, wrinkled and soft feel scarf/sarong with blue palms print. 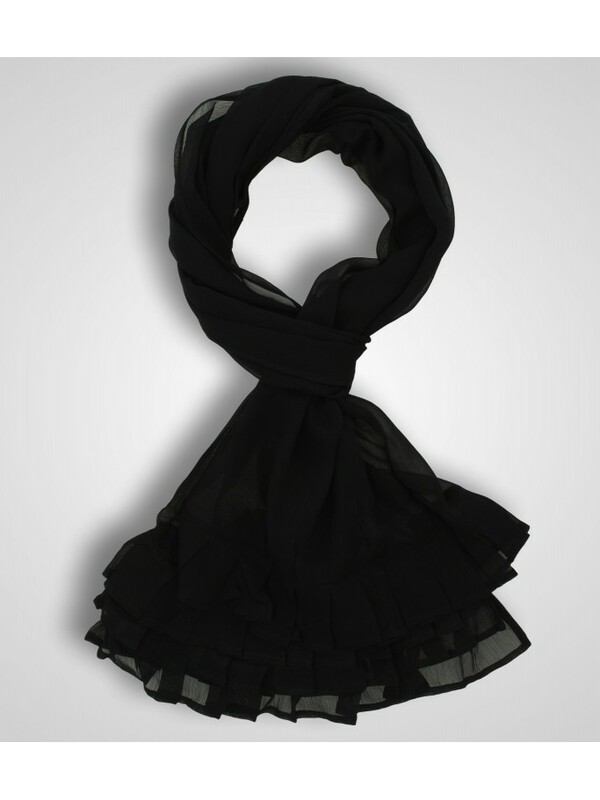 Chiffon scarf with pleated flounces. Voile scarf with chains and flowers print. 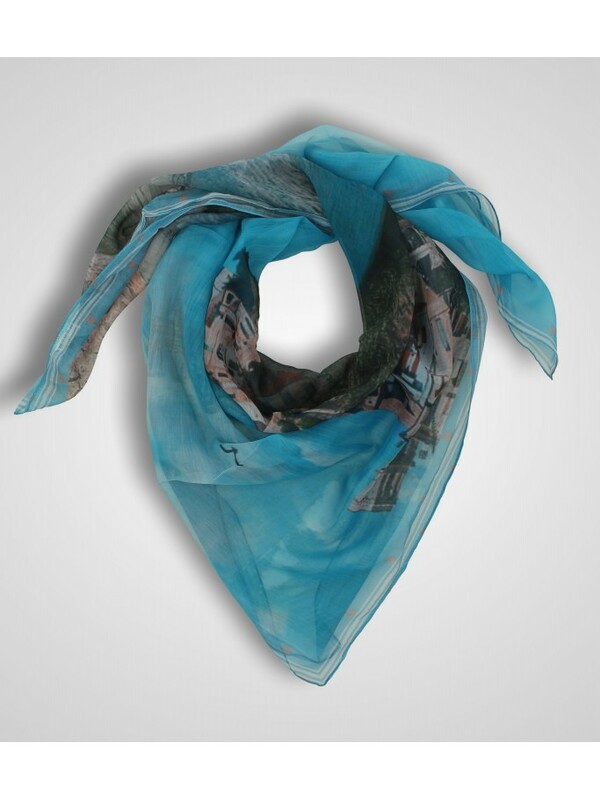 Voile scarf with landscape print. Micro-pleated chiffon scarf with hearts print and white frame. Chiffon kefiah with landscape print. Pleated chiffon scarf with satin bands and polka dots print. Light-weighted and soft feel scarf/sarong with chains and flowers print. Frayed hems. Light-weighted and soft feel scarf/sarong with chains print. Frayed hems. 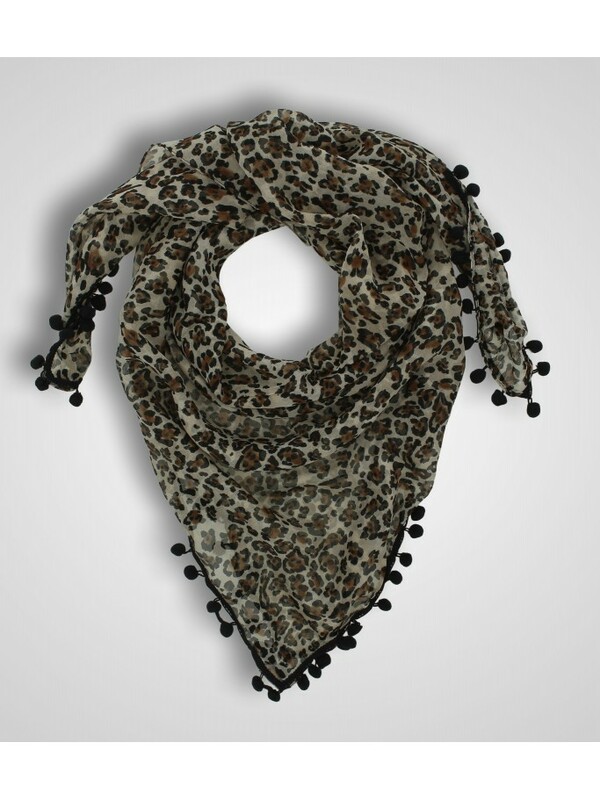 Light-weighted and soft feel scarf/sarong with animalier print and black pom poms. Chiffon Kefiah with animalier print and black pom poms. Silk scarf with animalier print. 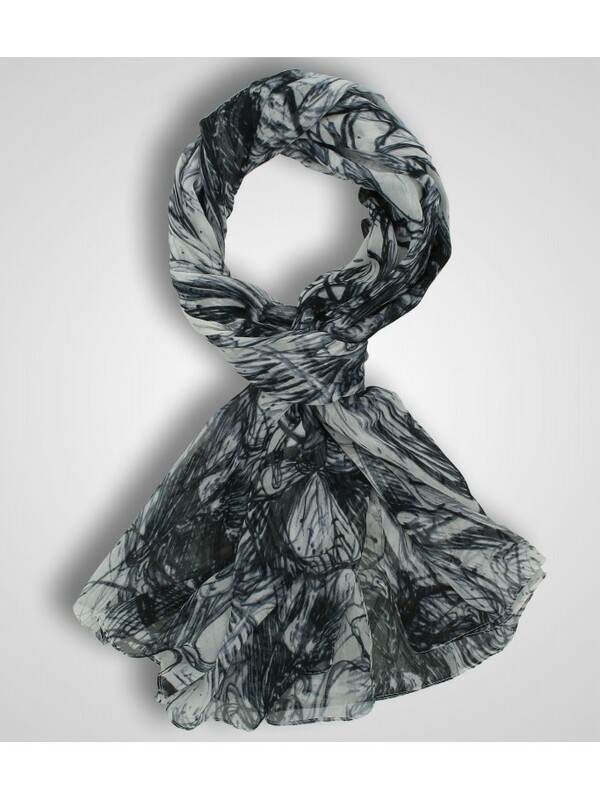 Light-weighted and soft feel scarf/sarong with python print. Chiffon scarf with python print. Chiffon kefiah with python print. Silk square scarf with black/white butterflies print. 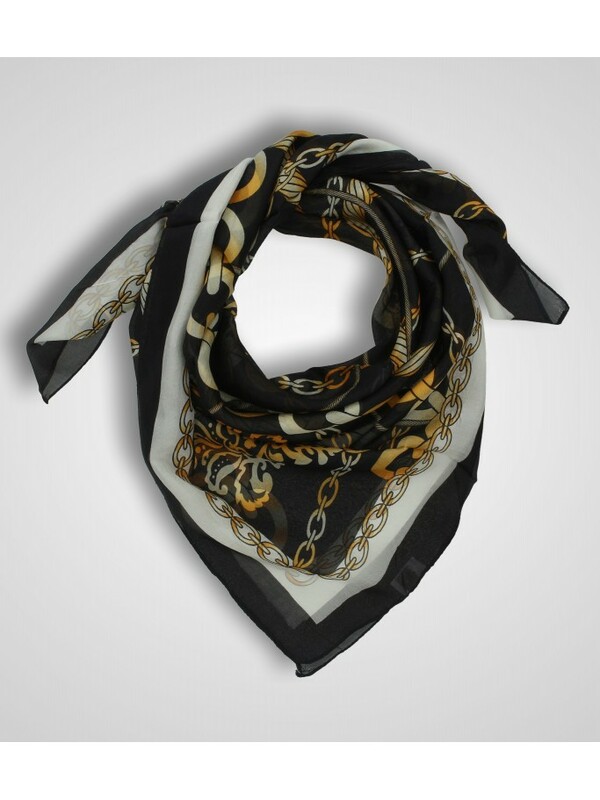 Silk square scarf with chains print. 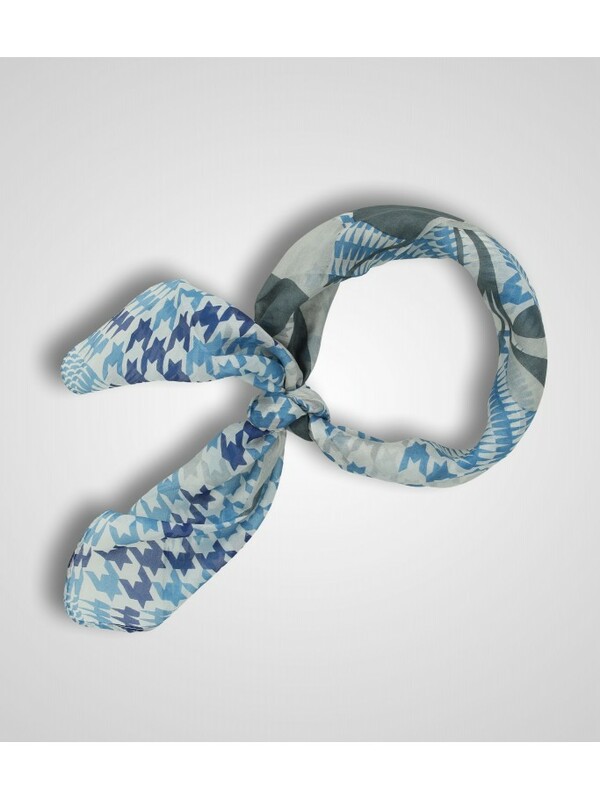 Silk scarf with python print. Silk square scarf with prince of wales and flowers print. Scarf/sarong made of a light fabric with an all-over print. Small tassel on the edges. Scarf/sarong made of a light fabric with an all-over print. Fringed edges. Scarf/sarong made of a light fabric with an all-over print. Pom pom on the edges. Scarf/sarong made of a light fabric with palm trees and spotted print. 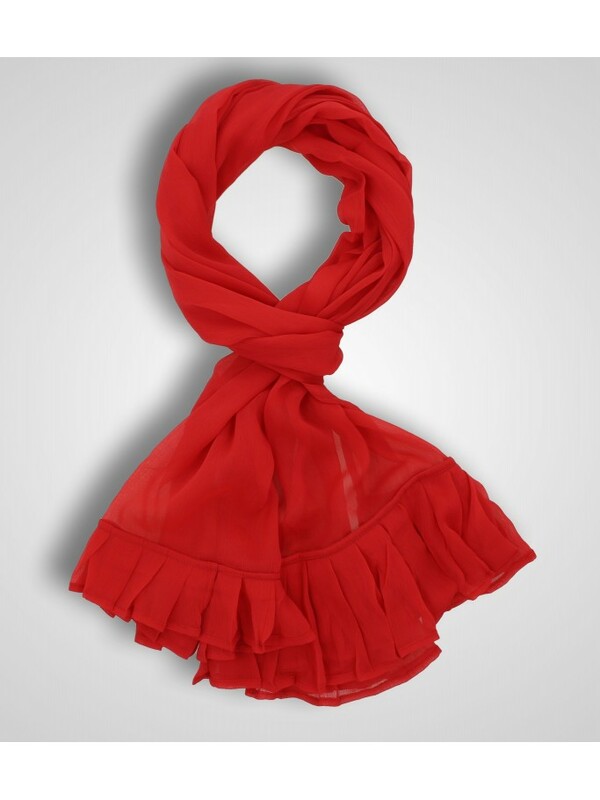 Pleated scarf made of printed satin. Pleated scarf made of spotted print.